The other day a buyer called and wanted to see a property that was new to the market. After showing the couple the home, they decided they wanted to make an offer. So we showed the couple the home, and they liked it enough to make an offer. A low-ball offer. A ridiculously low, low-ball offer. The home had been on the market for less than 10 days, so what could be gained (and what could be lost) by making an offer we ABSOLUTELY KNEW the seller will not accept? It is commonly known that real estate agents work on a commission basis. But what is not commonly known is that some of us will only work with somebody that we can help. Somebody who will be so thrilled with our level of concern for their best interests that they will in turn write glowing reviews on our company and will send us referrals from their closest friends and family members for years to come. We cannot earn this level of faith and trust if we simply do as instructed. Our experience far exceeds that of the buyers with whom we work, and we know the best way to get the best deal on a home. Every home exists in a market, and you should coordinate your offer with the knowledge of current market forces and how these forces impact both the buyer and the seller. Without doing so, it is highly unlikely that you will find the lowest price at which you can buy the home. 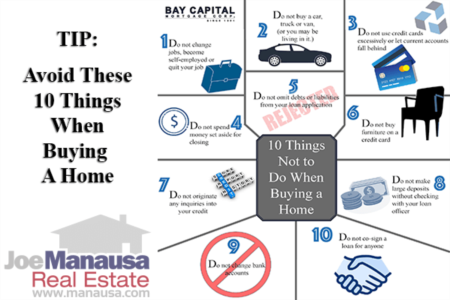 So before we help somebody make an offer on the home, we first want to educate them on a smarter home buying process. The process of buying a home might appear as simple as "you make an offer, and the seller then responds." But this is just not the case. Your interest in the home does not exist in a vacuum. Currently, much of our area is in a seller's market, so your offer is not the only one they are likely to see. In other words, "you make a low-ball offer, and the seller does not even respond, knowing other offers will come." So now where do you stand when the seller thinks so little of your offer that he just throws it away? In most cases, you'll be upset with your agent that let you lose any bargaining power you might have had. If a home is priced attractively, it is not uncommon in this market for a seller to receive offers at full price and even above the asking price. The key is to know what the home will sell for, and then make a tactical decision on what your offer price should be. A thorough study of supply and demand for homes like the one that you wish to buy will tell you the best negotiation strategy. Fortunately, this is something at which we excel. Additionally, understanding how long the seller has been marketing the home will tell you the likelihood of the seller coming off the current asking price. In this market, you can be certain that sellers will not think you are a serious, qualified buyer if you make an offer far below what a home is worth ten days after it hits the market. 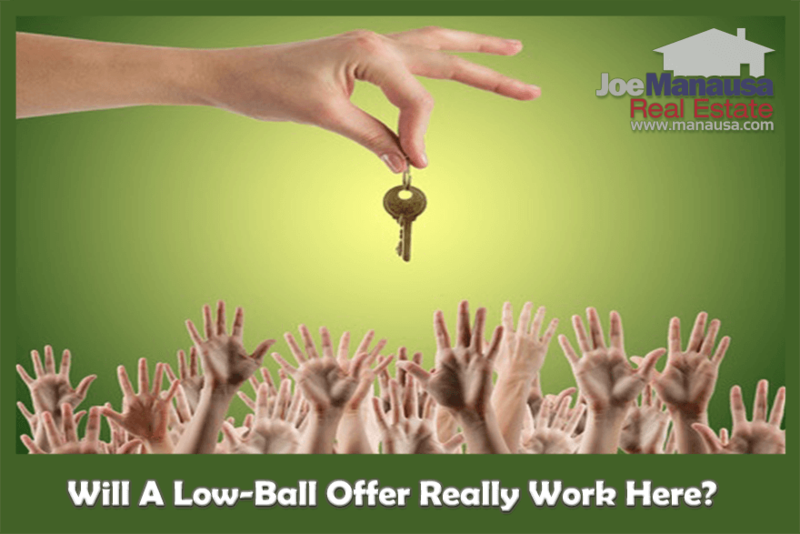 You might be thinking, "yeah, but what's the harm in making a low-ball offer?" The simple answer ... leverage in the negotiation. If you want to control a negotiation (and thus get the best price possible), you have to know your position in the negotiation. Regardless of market conditions, buyers come into a negotiation with a strong position, as they are willing to buy something the seller wants to sell. But market conditions and the accuracy of the seller's asking price dictate the required strength of your offer. The form of the offer will determine whether or not the position of strength is transferred to the seller. Thus we have to mirror an offer to current market conditions or we will transfer the position of strength to the seller. And this never ends up good for the buyer. Most rookie agents (and those senior agents with limited knowledge and skills) will write up any offer a buyer suggests. This almost always works against the buyer. We invest more time with our buyers (before they make an offer) to ensure they end up buying the RIGHT home at the RIGHT price. We do everything in our power to structure the buyer's actions to be best positioned when it comes time to start the negotiation. But not everybody wants to do things this way. This means that sometimes we recommend impatient buyers go work with another real estate company because we know that ultimately, this buyer will not going to be happy. They are going to make a poor offer that will be rejected or ignored, and they won't get the home that they want (or they will pay more to buy it). That's just not what we do. We feel confident that putting our buyer's best interests first, even if it means terminating a potential relationship with them, is the best and RIGHT thing to do. So no, a real estate agent does not have to write an offer for you, though most will do anything that you ask. We are not new to customer service, it is the core of our business model. We work very hard to earn the respect, trust, and praise from our customers. It is why we get to spend time with so many good people, because we get a lot of our business through word of mouth and referrals. Please take a look at what some of our recent customers have to say about working with our company, and I think you will see that our methodology makes our customers happy. 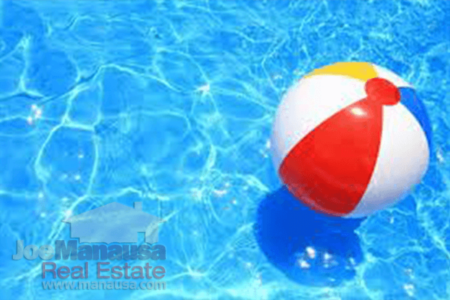 And we would like to make you happy too when it comes time to sell or buy a home in Tallahassee.